Deborah joined Synergy Global in 2016, as Team Leader for our West Team plus Health & Wellbeing. She is an independent medical editor who is also a qualified nurse & the co-founder plus Director of ODD Media, a digital publishing company. She qualified as an RN from University College Hospital, London, gained a BSc from City University, London & a Post Grad Diploma from London Guildhall University. In 1990, she completed her BSc (Joint Hons) in Sociology & Psychology, then became a Practice Development Nurse. Deborah worked with Heather-Jane Gray in the Executive Nursing/Quality Team at King’s College Hospital, London, where she combined strategic, team & individual approaches to the leadership of values-based cultural change. As Acting Chief Executive of a nursing agency, she reviewed & refined the company’s organisational structure in order to make resource savings, plus developed more effective services to nurses & clients. She also successfully negotiated with organisations such as Trusts & Social Services - winning contracts for the provision of temporary agency staff. In 1997, she became a Project Manager at the King’s Fund, London, where she evaluated the function, purpose, & efficacy of a Practice Development and Research Network, plus jointly organised a Dept. of Health commissioned conference. As Clinical Editor of the Nursing Times, she commissioned authors, wrote articles & worked with the sales team to bring in advertising and sponsorship. While at Emap, she was fast-tracked onto their Management Program & became the Editor of The Journal of Wound Care (2000). Since 2007, Deborah has been working as an independent consultant & undertaken NHS Service Reviews, whilst lecturing nationally & internationally. She has also published widely & helped health professionals write for publication. She has commissioned & edited two books – Wound Management Theory and Practice plus The Student Survival Guide. She has also authored chapters in various books on clinical supervision & accountability. In 2015 Deborah was awarded MBE in the New Year Honours for services to nursing & nursing journalism. 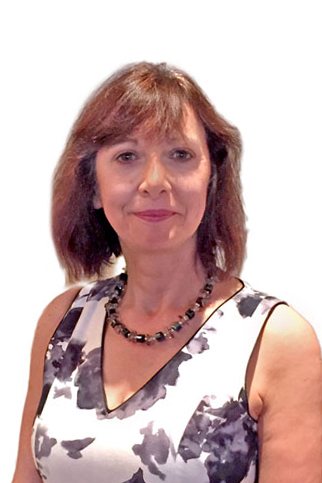 She is a patient representative on the North & Central London Cancer Board & has previously been a Trustee posts for the International Lymphoedema Framework. She is an Associate Member of the Royal Society of Medicine (RSM), London.